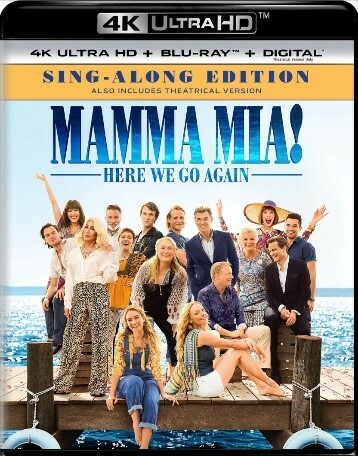 Universal Pictures Home Entertainment has officially announced that it will release Mamma Mia! 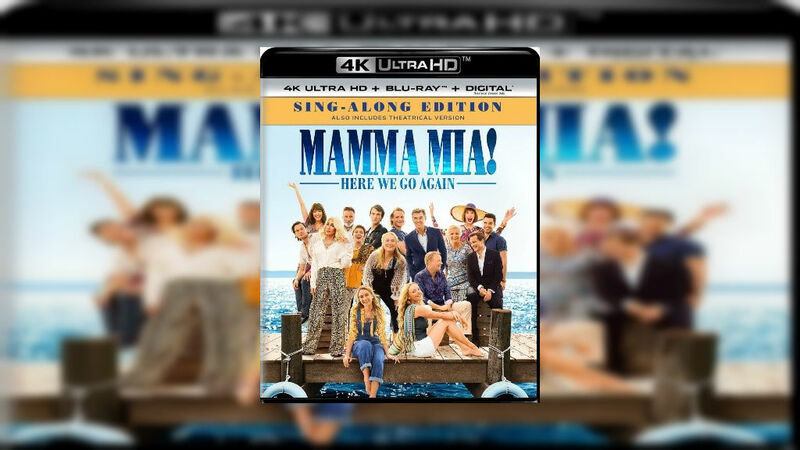 Here We Go Again on 4K Ultra HD Blu-ray and Blu-ray from on October 23rd. Original cast members Meryl Streep, Pierce Brosnan, Amanda Seyfried, Colin Firth Julie Waters, Dominic Cooper and Christine Baranksi return alongside new additions Lily James and Andy Garcia. Ol Parker, writer of The Best Exotic Marigold Hotel, writes and directs the sequel and is joined by original producers Judy Craymer and Gary Goetzman. As you’d expect, the disc is full of special features, including enhanced sing-along versions of several classic ABBA songs. Dynamo Chit-Chat – A conversation between the three Young Dynamos reflecting on their favourite song, costumes, scenes to shoot, and funniest moments. Dad Chat – The young dads come together to share some of their favourite memories from set. Class of ’79 – The story of the Young Dads and Dynamos is told against the backdrop of Oxford, Paris and the Greek Islands of 1979, when hairstyles were wackier, and the fashions were bolder. This featurette will focus on the Young Dads and Dynamos and their experience bringing these characters to life. Playing Donna – This piece centres on Meryl Streep’s cameo performance and Lily James’ preparation for filling this iconic role. Costumes and The Dynamos – The Young Dynamos have some pretty cool costumes in MAMMA MIA! HERE WE GO AGAIN, and of course so does Cher. And who could forget those trademark dungarees? We will join costume designer Michelle Clapton as she highlights some of her favourite outfits from the movie.